Heute möchte ich euch ein nicht alltägliches Interview präsentieren. Ich hatte das Glück einen jungen Ladeninhaber vor seiner Shop Eröffnung zum Quatschen zu überreden. Seit Ende August diesen Jahres ist die Outdoor-Geschäftswelt um einen kleinen feinen Klettershop „Casper’s Climbing Shop“ in Luxemburg Stadt erweitert worden. Am kommenden Samstag (28.09.2013) ist grosse Eröffnung. 1. Könntest Du Dich bitte kurz vorstellen? My name is Casper Marley Frydendal and I was born in Denmark. I have lived in Luxembourg since 1982. After finishing the European School in Luxembourg I went travelling/working for several years. During this period I lived in Fuerteventura, Canary Islands and Chamonix Mt. Blanc France. I am a passionate of action/extreme sports e.g. skateboarding, snowboarding, skiing, rock climbing and more. 2. Klettern/Bouldern ist Deine Leidenschaft. Warum gerade diese Sportart? I went to Chamonix to snowboard but during the summer 2001 I got introduced to rock climbing and bouldering. I quickly got very motivated and interested about these sports. The sport has an amazing influence on your body and soul and as a Doctor told me in 2006 after a hard snowboard accident “if it hadn’t been for the strong back you have from climbing you would have broken it”. I love the combined tiredness you achieve from climbing both in your body and head. The concentration has to be 100% if you want to achieve your goals and when you come home from a good climbing day you are so tired and worked out. The social aspect in this sport is interesting as well. It is not directly a team sport but climbing with friends is really social and you make a lot of new friends through the sport. You can travel and combine holidays with climbing, no matter if you are camping in Berdorf or living in a bungalow in Krabi, Thailand. In especially boudering you can easily have fun together even when you climb different levels and that is great. 3. Du planst einen Outdoor-Laden in Luxemburg zu eröffnen. Wie kommt es dazu? After my travels I came back to Luxembourg as I missed my family, old friends and needed to look for a way to make a decent salary. I have over the past 6 years worked in the finance industry in Luxembourg within systems testing and project management. It has always been my goal to one day work with something that I was passionate about. 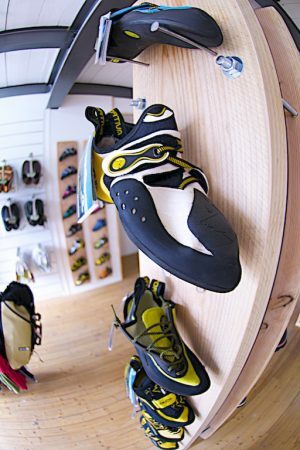 June 2012 I came back from a climbing holiday in Kalymnos Greece and had the idea to open an online store selling climbing and trekking equipment. This could be done and at the same time keep my banking job. As the project progressed different aspects changed the planned online store to a real store in Luxembourg with an attached online store. 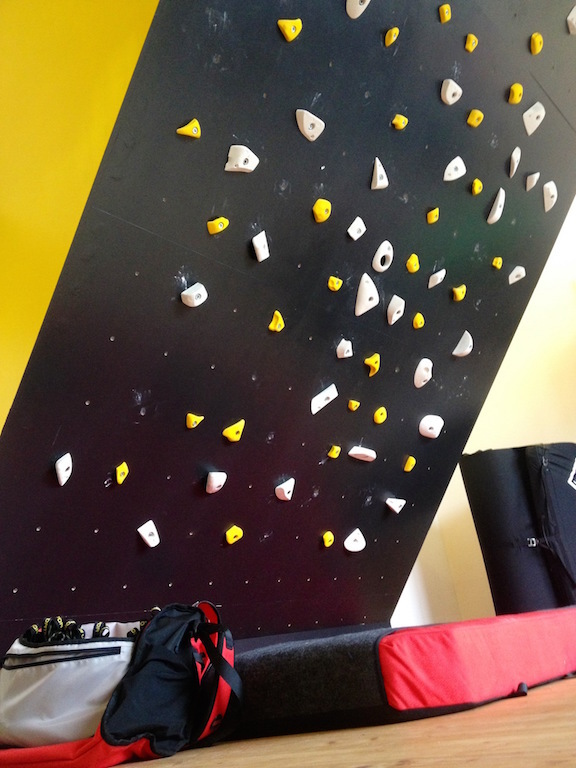 I am an very extrovert person and very active in the climbing scene in and around Luxembourg. 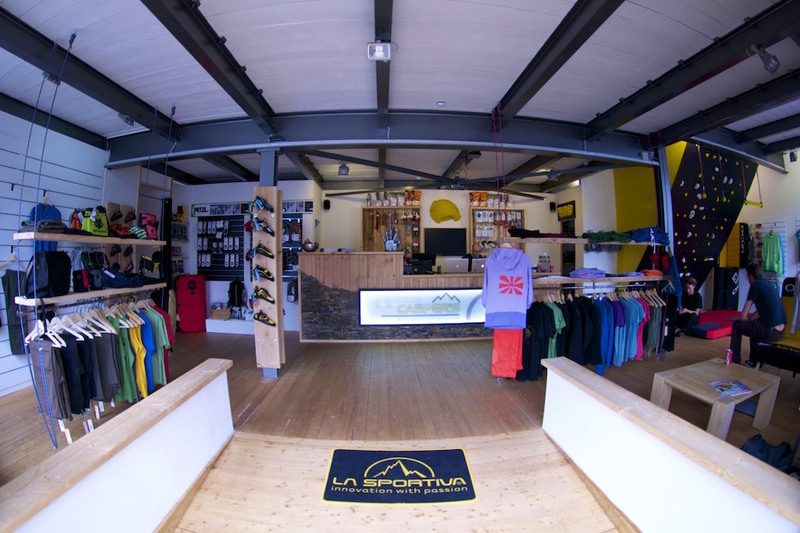 After researching the market size and needs I decided to open a proper climbing/trekking store in Luxembourg. I have always had a large interest in the equipment with its functionality and at the same time enjoy providing customer service. To be able to bring this knowledge and passion to my customers is what I have been looking forward to for a year and am now enjoying. Dealing with suppliers and being innovative is another side to the business which I am really enjoying. Giving the customers an experience and welcome them with a smile is my main objective. 4. Bei dem Namen des Shops kann ich mir vorstellen, dass der Schwerpunkt bei Kletterausrüstung liegt. Welche Sportarten deckt der Laden sonst noch ab? The shop is focussing on climbing from the beginning but trekking which is also a passion of mine will be covered as of latest spring 2014 together Trial running. Also within these sports we will be able to provide the customers with specialised knowledge and help them choose the right products. Together with the rock climbing products we will also later on cover ice climbing and general alpinism. 5. Wird es auch einen Online-Shop geben? We are currently working on our e-commerce platform which is planned to go live this autumn. Through the e-commerce we will be able to provide our Luxembourg customers with a stock that we would normally not be able to stock here as sales in this region are low. 6. Wann und wo ist Eröffnung? The shop opened 26/08 and is located at 81-83 rue de Hollerich L-1741 Luxembourg. It is next to Surf’in and Cat Club. 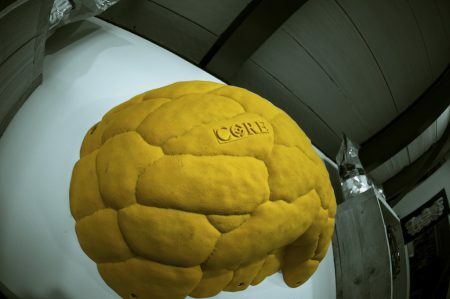 Opening hours are Monday – Saturday from 10.00 to 19.00. Nochmals vielen Dank an Casper, dass er sich im Vorbereitungsstress die nötige Zeit genommen hat um mir die paar Fragen zu beantworten. Ich wünsche viel Spass und natürlich den dementsprechenden Erfolg in den neuen Laden in der Kletter-und Outdoorszene in Luxemburg.